2013-12-29: Identified as Physocephala tibialis by Aaron Schusteff, Contributing Editor of BugGuide. 2013-06-11 19:57: Found - or rather one of our cats did - an incredible wasp-mimic fly. Chilling in refrigerator for later identification. http://bugguide.net/node/view/7190/bgimage except all-black at first glance. Will examine more closely later. Yes, that is a fly, not a wasp. 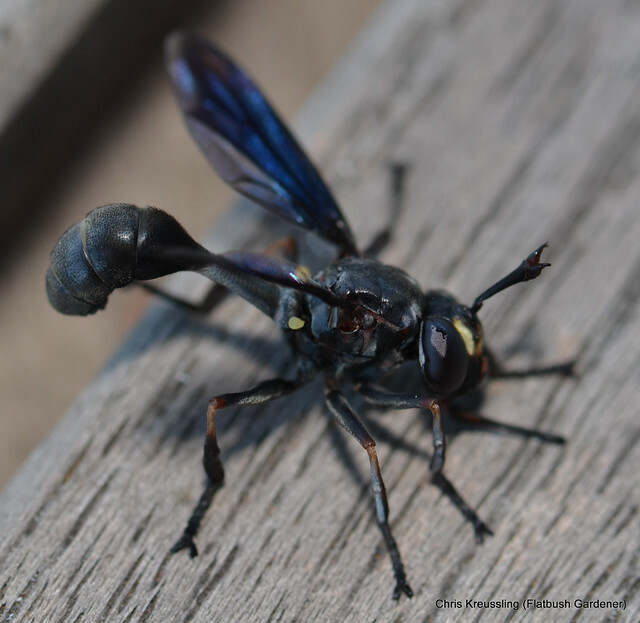 You can tell it's a fly from the antennae in the center of the face, instead of the top of the head, the large, rounded eyes that cover both sides of the face, instead of being restricted to the upper part of the head, and the "forked" feet. 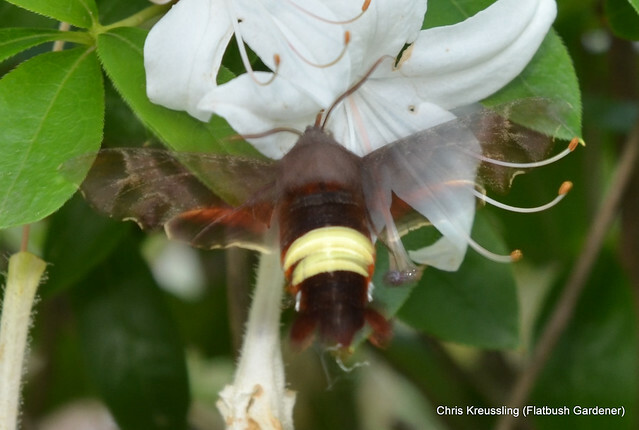 Amphion floridensis, Nessus Sphinx Moth, on Rhododendron viscosum, Swamp Azalea, in my urban backyard native plant garden and wildlife habitat. The two bright yellow bands are a key for this species. Another lifer moth for me, I saw this in my backyard a few weeks ago. Fortunately, I had my camera with me. Unfortunately, I didn't have time to break out the flash, or the tripod. This was a fast-moving moth. 2013-06-09: Updated from my visit on Saturday, 6/8. 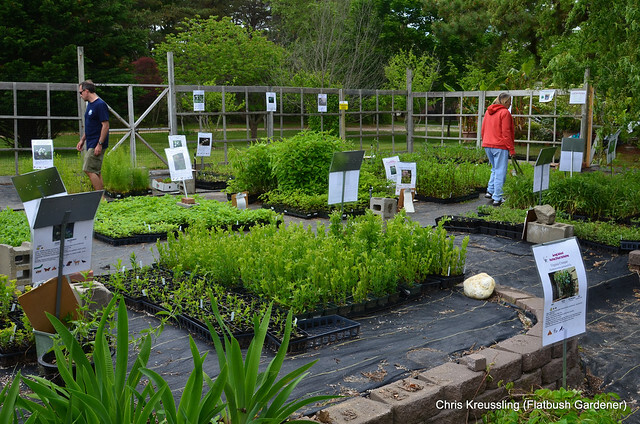 This Friday and Saturday, June 7 and 8, and next week as well, June 14 and 15, is a rare opportunity to purchase local ecotypes - plants propagated from local wild populations - of plants native to Long Island. The sale is organized by the Long Island Native Plant Initiative (LINPI). Proceeds benefit LINPI.